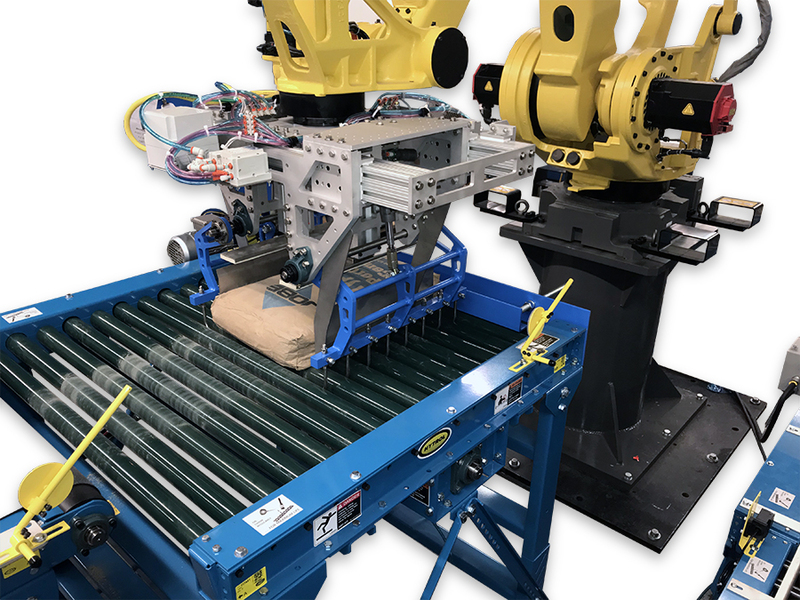 Magnum Systems has been in the Robotic Palletizing and Bag Placing market since 2004 with the introduction of the TRV1000 Valve Bag Placer, followed by the TRP3000 Bag Palletizer in 2005, and the TRD2000 Buckhorn Box De-nester in 2014. 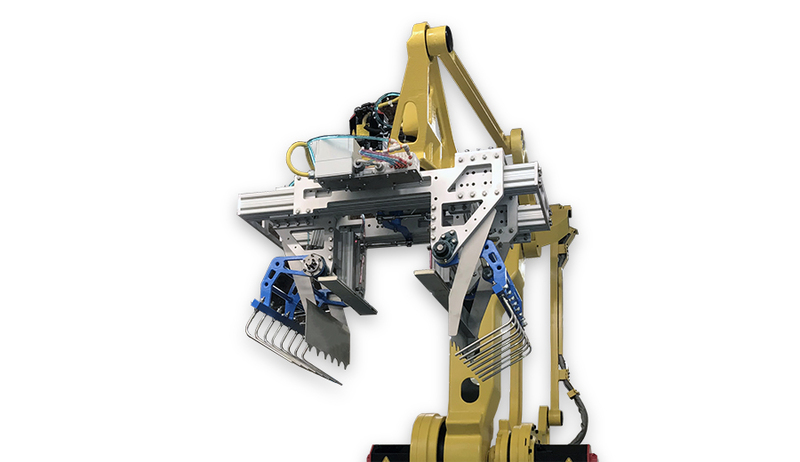 Over the years, the number of robotic arm manufacturers has grown to almost commodity levels, but the constant for successful application remains in efficient programming and container manipulation experience. 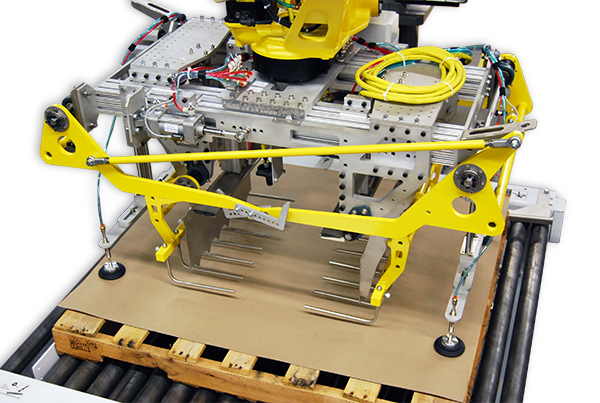 Taylor Products has remained a leader in quality applications. At the root of each application is a custom program based on the container size(s), number of functions required, system layout and space limitations. 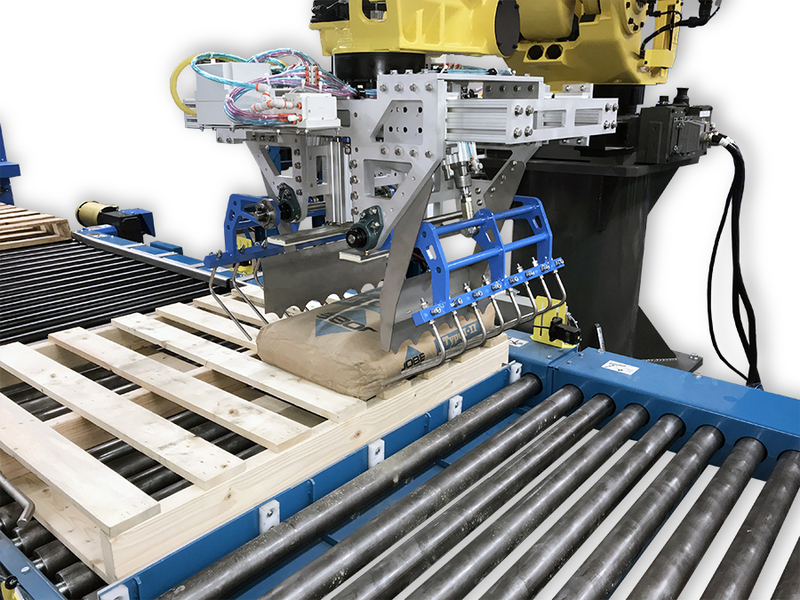 Our team determines the most efficient motions for the robotic arm and tooling to provide the safest, most reliable and most productive operation of the robot. 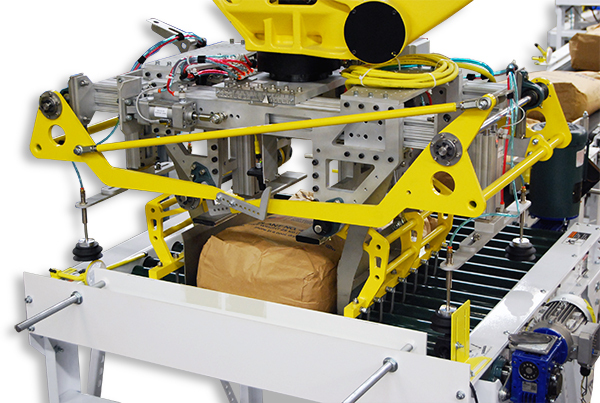 For more than 47 years, Taylor Products has been designing and installing packaging lines. These lines fill everything from 4,000 lb. FIBC’s, all the way down to 4 oz. pouches. 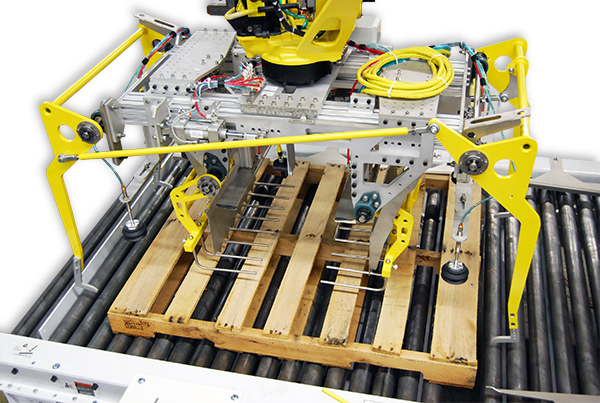 We understand that knowing the type of container, dimensions and desired capacity is only the first step of the application solution. 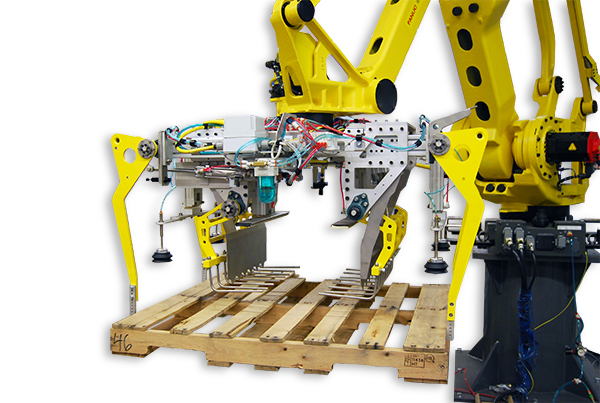 When it comes to robotic equipment, our experts also understand the application may ask the robot to handle more than just containers and more than one function. 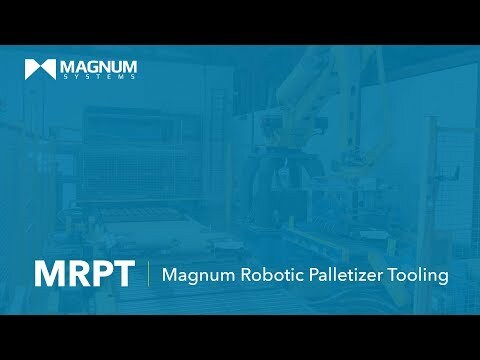 We are proud to introduce the Magnum Robotic Palletizer Tool, designed by container handling experts to meet each custom application. Single source vacuum generator: Pressure indication recognizes loss of suction on a single cup and ceases ability to work until vacuum has been restored. 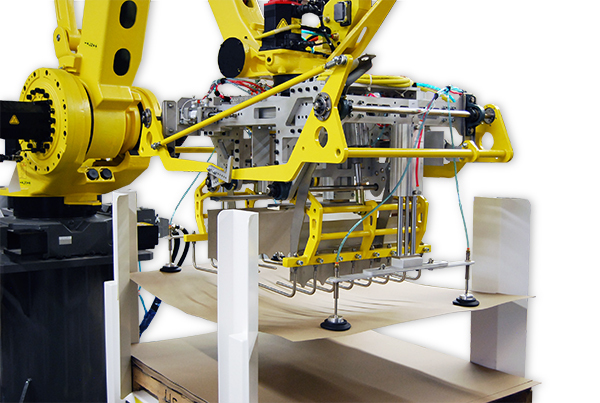 Blow off capability ensures slip sheet is quickly and positively released.